Ms. Behjani represents real estate clients ranging from owners and developers to retail and office tenants. 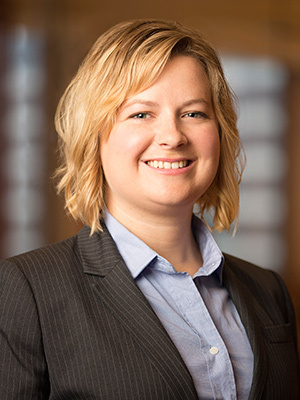 She focuses her practice on commercial development, office and retail leasing, acquisitions and sales of real property, entitlements and land use issues as well as title insurance. Ms. Behjani also assists borrowers in the financing of office, retail and mixed-use developments. In conjunction with her real estate practice, she assists clients with general corporate matters. Ms. Behjani has been recognized in Chambers USA in Real Estate as Up and Coming in Real Estate. She has been selected for inclusion in Mountain States Super Lawyers as a Rising Star (2015-2017) in the category of Real Estate. She has also been voted by her peers as one of Utah’s “Legal Elite” as published in Utah Business Magazine (2013-2019).